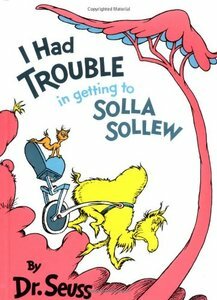 Dr. Seuss’s very first book for children! From a mere horse and wagon, young Marco concocts a colorful cast of characters, making Mulberry Street the most interesting location in town. Dr. Seuss’s signature rhythmic text, combined with his unmistakable illustrations, will appeal to fans of all ages, who will cheer when our hero proves that a little imagination can go a very long way. (Who wouldn’t cheer when an elephant-pulled sleigh raced by?) Now over seventy-five years old, this story is as timeless as ever. And Marco’s singular kind of optimism is also evident in McElligot’s Pool. outrageous array of troubles they're lucky they don't have. Illus. in color. 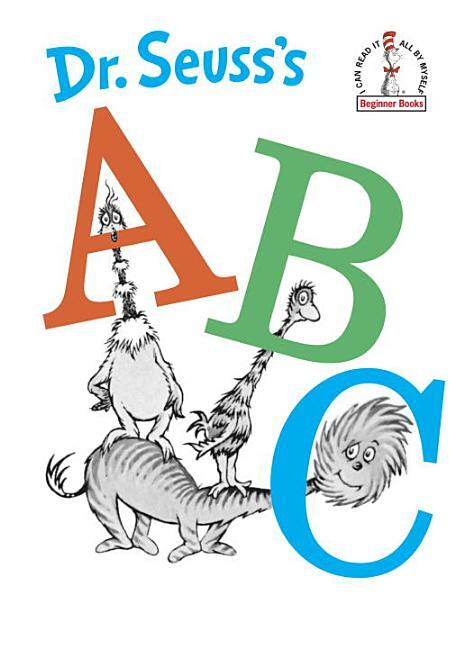 "An alphabet book with zany drawings and nonsensical verse provides an entertaining way for small children to learn the letters and their sounds." -- "Booklist. " Back in 1957, Theodor Geisel responded to an article in Life magazine that lamented the use of boring reading primers in schools. Using the pseudonym of "Dr. Seuss" (Seuss was Geisel's middle name) and only two hundred twenty-three words, Geisel created a replacement for those dull primers: "The Cat in the Hat." 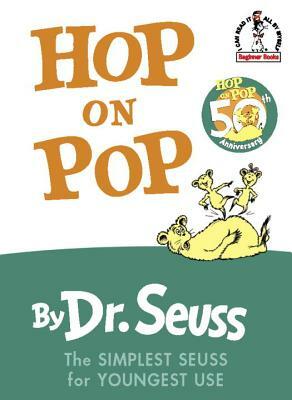 The instant success of the book prompted Geisel and his wife to found Beginner Books, and Geisel wrote many popular books in this series, including "Hop on Pop, " "Fox in Socks, " and "Green Eggs and Ham." Other favorite titles in this series are "Go, Dog, Go!" and "Are You My Mother?" by P. D. Eastman, "A Fly Went By, " by Mike McClintock, and "Put Me in the Zoo, " by Robert Lopshire. These affordable hardcover books combine large print, easy vocabulary, and large, bright illustrations in stories kids will want to read again and again. Grades 1 - Grades 2. Back in 1957, Theodor Geisel responded to an article in "Life" magazine that lamented the use of boring reading primers in schools. Using the pseudonym of "Dr. Seuss" (Seuss was Geisel's middle name) and only 223 words, Geisel created a replacement for those dull primers: "The Cat in the Hat." 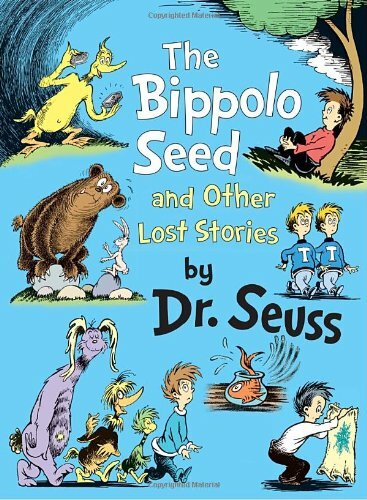 The instant success of the book prompted Geisel and his wife to found Beginner Books, and Geisel wrote 44 books in this series. These affordable hardcover books combine large print, easy vocabulary, and large, bright illustrations in stories kids will want to read again and again. Grades 1 - Grades 2.
multicolored excursion is a festive one." -- "School Library Journal." hatches an egg. Extravagant nonsense and rollicking verse. creatures on a speck of dust. An easy reader with delightful verse and pictures. Everybody's favorite Christmas grouch celebrates forty "grinchily" gorgeous years! 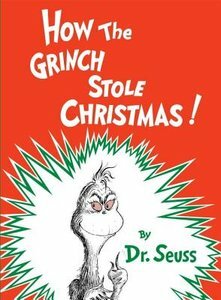 Here is the classic Suessian tale of how the Grinch attempted to take Christmas away from the Who's down in Who-ville. attempting to avoid trouble one often encounters even greater difficulties. 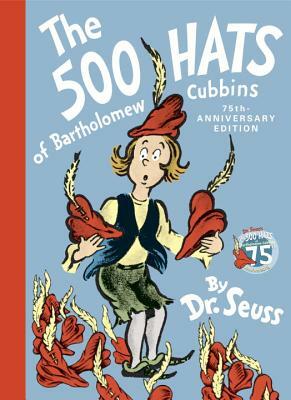 Seuss fans will be enthralled." -- "Childhood Education." circus McGurkus. "Fun for the entire family." -- "Children's Book Center." he'd have in a zoo. 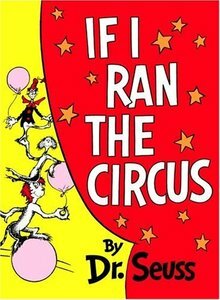 Dr. Seuss at his best." 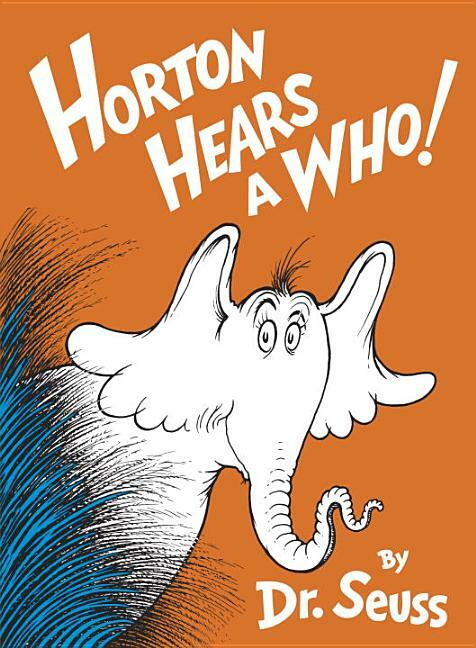 -- "Horn Book." rhyme and are shown in hilariously funny pictures." -- "Booklist." This cloth-bound, slip-cased deluxe edition is the perfect elegant gift! Features a full-color cover insert on the cloth slip-case, a full color-printed book case, a bookplate for personalizing, and the Good Doctor's famous commencement speech "My Uncle Terwilliger on the Art of Eating Popovers" (a.k.a. the "Popover" Poem) printed inside. From soaring to high heights and seeing great sights to being left in a Lurch on a prickle-ly perch, Dr. Seuss addresses life's ups and downs with his trademark humorous verse and illustrations, while encouraging readers to find the success that lies within. In a starred review, Booklist notes, "Seuss's message is simple but never sappy: life may be a 'Great Balancing Act, ' but through it all 'There's fun to be done.'" A perennial favorite and a perfect gift for anyone starting a new phase in their life! This deluxe edition is perfect for displaying and destined to become a family classic. 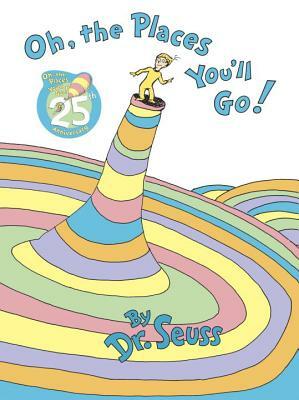 Dr. Seuss's wonderfully wise Oh, the Places You'll Go! is the perfect send-off for grads--from nursery school, high school, college, and beyond! If you think the alphabet stops with Z, you are wrong. So wrong. Leave it to Conrad Cornelius o'Donald o'Dell (with a little help from Dr. Seuss) to create an entirely new alphabet beginning with Z! This rhyming picture book introduces twenty new letters and the creatures that one can spell with them. Discover (and spell) such wonderfully Seussian creations as the Yuzz-a-ma-Tuzz and the High Gargel-orum. Readers young and old will be giggling from beginning to end . . . or should we say, from Yuzz to Hi! 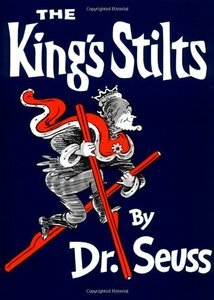 In an introduction to the collection, Cohen traces the history of these stories, which demonstrate an intentional and significant change that led to the writing style we associate with Dr. Seuss today. Cohen also explores these stories' themes that recur in better-known Seuss stories (like the importance of the imagination, or the perils of greed). 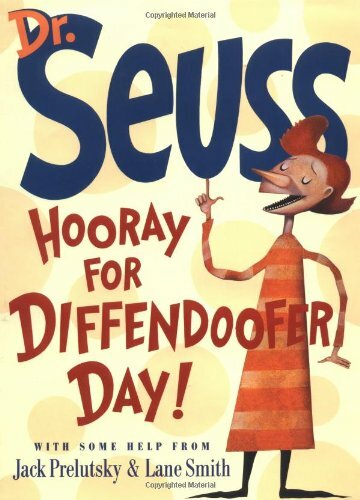 With a color palette that has been enhanced beyond the limitations of the original magazines in which they appeared, this is a collection of stories that no Seuss fan (whether scholar or second-grader) will want to miss! on a pair of old red stilts, until they were stolen. An uproarious tale.